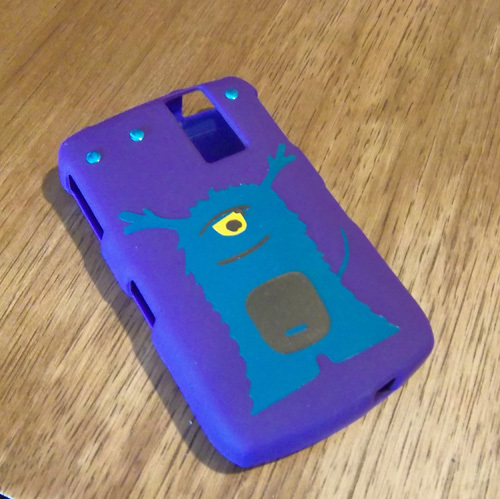 I created a cell phone cover using my Cricut and the new Bump In The Night cart for the Cricut, it is cut out of vinyl and Imaginisce hot rocks are added for a little extra bling. How great is that little critter? Happy crafting xoxo. Follow me on Twitter. Mothers Day fashion photo album for Grandma. Using both my Cricut and my Cuttlebug mixed together I created a fashionable photo album as a gift for my mom. 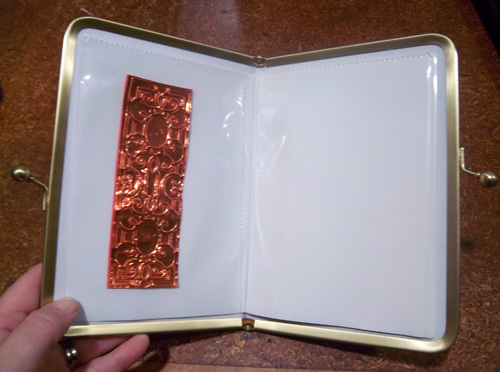 I will fill it with photos of the grand kids in time for Mother’s Day. 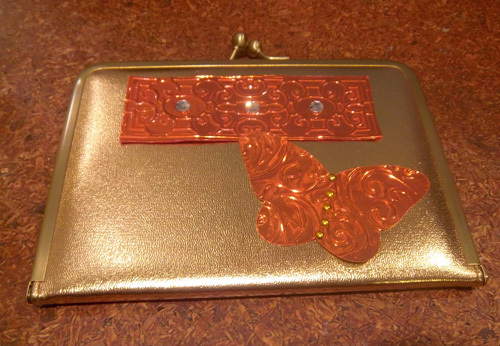 The copper foil is embossed on with Cuttlebug using the Mary Ann embossing folder. 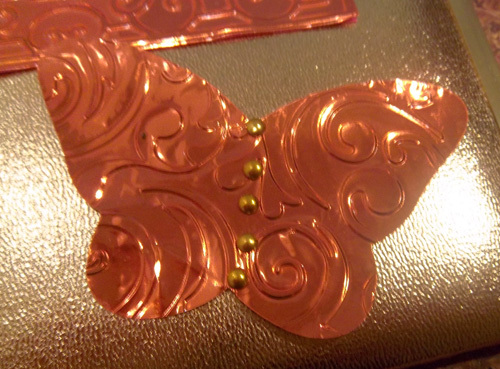 The butterfly is cut on the Cricut using the Paper Lace cart and then embossed. 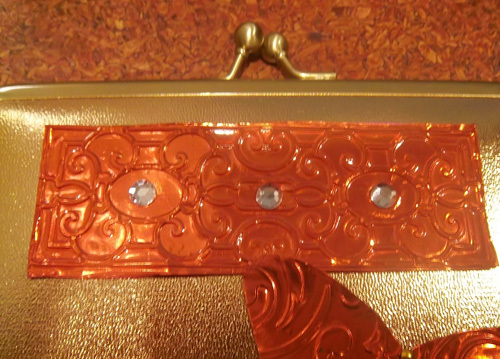 The bling is added by using by Imaginisce irock and hot rocks. I needed to send a thank you note out to a special person and decided it was worth taking the time to make a lovely card. 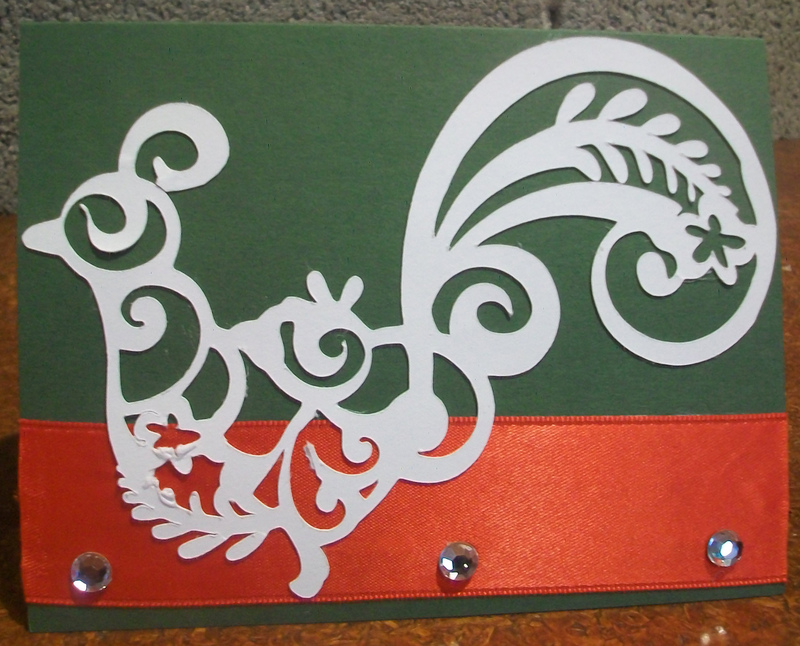 I used Bazzill Basics Herbal Garden colored card stock, a red satin ribbon, clear hot rocks and my Cricut along with the Trim The Tree Cartridge to make it. It is so festive I am loving it. I was so inspired after making a tee-shirt yarn wreath that I thought why not make one for Halloween? Here’s how: I bought a wreath from at the dollar store. 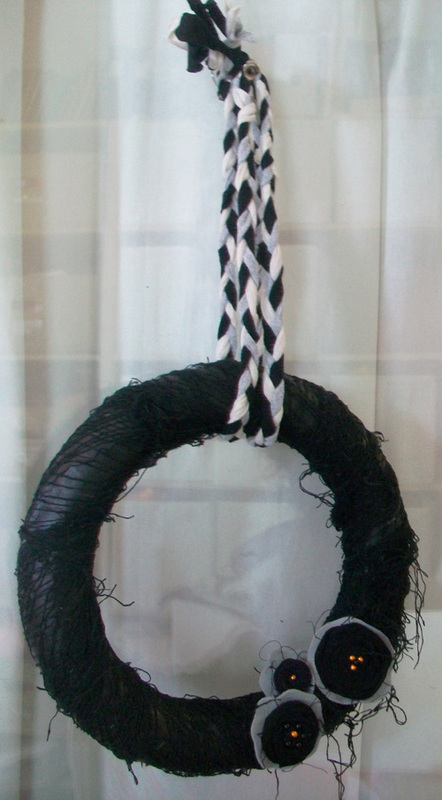 The first step is to cover it with black masking tape, Next wrap black cheese cloth around it, pulling at the strings, allowing them to hang off for a spooky effect. 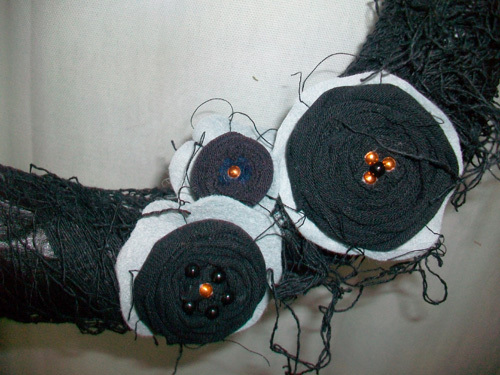 Next I made three tee-shirt yarn flowers using black tee-shirt yarn. I attached those flowers to a backing of grey felt and glued them down to the wreath. I topped the flowers by putting copper and black hot rocks on them. For the final step I took three colors of tee-shirt yarn, braided them together and made the top hanging piece for the wreath. I love sending cards and making them for friends. 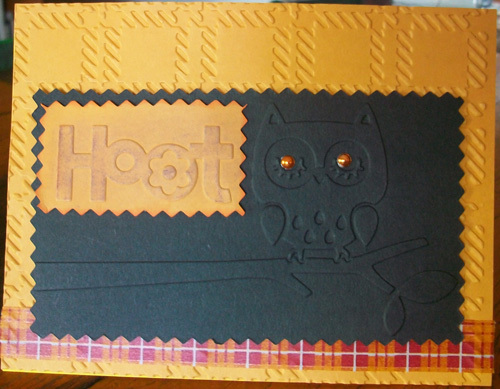 This is a Halloween card that I made using the Cuttlebug embossing folders and card stock.The plaid is Japanese Washi tape and the eyes on the owl are created by using my Imaginisce i-rock. I also have a stack of these cards for sale at MADE.